“It was definitely tougher, more physically demanding on the body,” began Windsor. The 31-year-old played for ‘Club’ for two years, joining the side in 2010 as an opportunity to play with his brother, Richard, again. Finishing sixth in National One in his first campaign, Windsor played an integral part in Blackheath’s 2011/12 campaign in which the club finished third in the league. From there, Blackheath went on an 11-game unbeaten run and with each victory came a bonus point. “Blackheath was a lot higher standard and professionalism than Sydney Club and Canberra Club was, so the fact that I’d had a bit of success there, gave me confidence that I could compete at a higher level,” mused the Australian. Returning to his homeland after two years at the Club, Windsor came back to the northern hemisphere periodically to play for Worcester and Ulster, even providing injury cover at Leinster until moving to America. 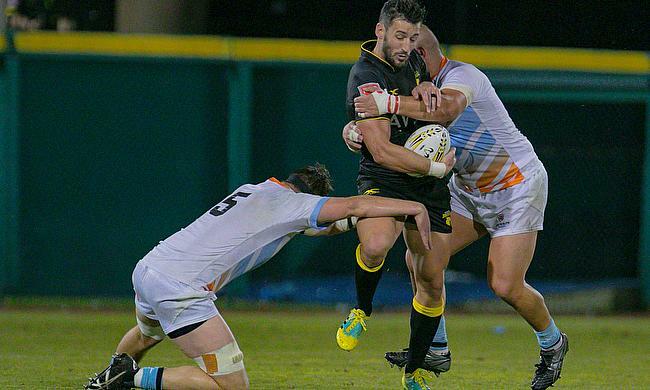 Now a player/coach at the Houston SaberCats, Windsor is a star name in Major League Rugby, the United States’ premier rugby competition. Windsor still owes a lot of thanks to Blackheath for giving him a different rugby education to the one he had received in Australia. Blackheath travel to Rosslyn Park in what is a top of the table clash in National One this weekend, whist Sam Windsor starts his Major League Rugby campaign in Austin against the Austin Elite.